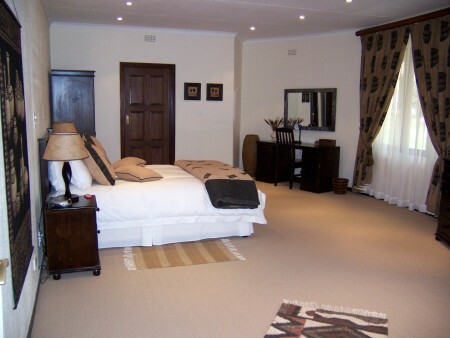 Tladi Lodge provides guests with quality luxury accommodation in Sandown, Sandton, the business Hub of South Africa, set on two acres of well tended tranquil gardens. SABC channels, E TV, MNet and shared DSTV. Description: Extra length Queen size bed with a full en suite bathrrom. Three of these rooms have doors leading onto the patio. Description: Extra length Queen size bed with a full ensuite bathroom, with separate lounge that has access to a patio and fully equipped kitchen. Description: Double bed with an en suite shower only. Description: Extra length Queen size bed with a full ensuite bathroom, with small lounge and kitchenette area. Description: Extra length queen size bed, large full bathroom and a separate lounge/study area, leading onto the patio facing the pool.